On November 20, 2018, U2.Com announced their upcoming 2019 subscriber gift, a two-CD release focused on the 2015 and 2018 tours, Innocence & Experience and Experience + Innocence. From the initial announcement it looked as if the title of this release would be Innocence + Experience Live, 2015 & 2018. The gift is for subscribers who renew or subscribe new for the 2019 year, and if your subscription ends part way through 2019, and you’ve already gotten another gift, you will not get this gift without re-subscribing. 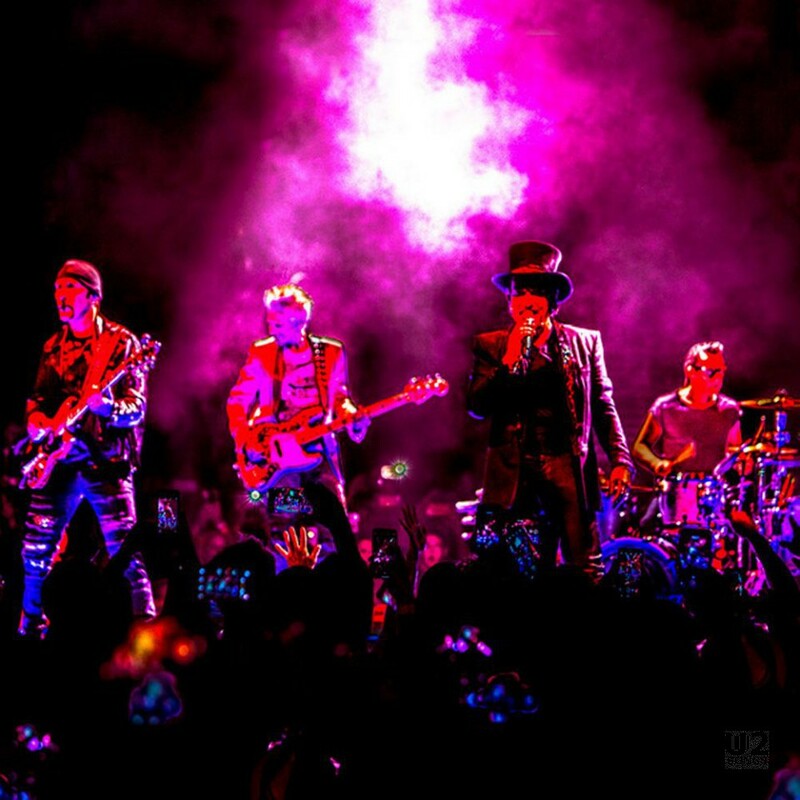 The image to the right, of the band on stage in 2018, has been used in all communications to date about this offer, including the announcement on U2.Com, emails sent out announcing the CDs, as well as on the resubscribe page. On January 16, 2019, U2.Com launched a poll to pick between six tracks to be the first two downloads from this collection. Although the poll started out strong for “The Troubles” and “The Little Things That Give You Away” in the end it was “Song for Someone” and “The Little Things That Give You Away” that got the bulk of the votes, with “The Little Things” being a clear favourite in the poll. “The Little Things That Give You Away” was a surprise to many, considering the song was not performed on either of the 2015 or 2018 tours. It was however performed on “The Joshua Tree” tour in 2017.